Free daily newspaper The Metro today revealed MI5 would begin to evaluate the future careers of staff members based on their knowledge of social media sites. Speaking to the Parliamentary Intelligence and Security Committee in March, Jonathan Evans, the director general of MI5 said knowledge of new online technology, such as social media, was necessary for counter-terrorist officials. "I think some of the staff perhaps aren't quite the ones that we will want for the future," he commented. "Our enemies use every available method to attack including using technology. We have to be aware of the imminent threats of cyber attacks and the old generation of MI5 have to be completely comfortable using computers and the latest technology." 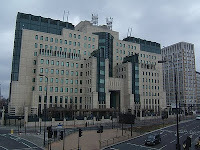 The move from MI5 demonstrates just how integrated social media has become in our daily communication. Indeed, the British Secret Service are not the only official body to have used Twitter and Facebook to aid in their work. In January, Scotland Yard tracked down Craig Lynch, who had escaped from prison in 2009, by following his updates on Facebook. Earlier in 2010, a British man was arrested under the Terrorism Act for a tweeting a joke threat to bomb a UK airport. There are an estimated 5.5 million Twitter users in the UK and, according to a report into social networking in 2009, they're more than happy to share information with the online community; over 40 per cent of tweets were person in nature, relating to someone's activities or location. While the use of these updates has been explored from a marketing perspective, it is clear that government bodies are becoming more aware of social media, taking steps to harness the service. The closure of the whistle-blowing Nightjack blog demonstrated that official sectors are prepared to act on the perceived-defamation of the police force. The news that MI5 is starting to focus its attention on social networks shouldn't come as any big surprise. Indeed, other bodies have used it successfully over the past three years. Just don't expect its employees to start tweeting content along the lines of 'Smashed up the Aston again', or '#ff @Scaramanga, @Oddjob and @Dr_No'.